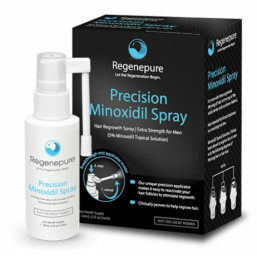 Minoxidil is a hair loss and hair regrowth treatment that’s widely used to treat male pattern hair loss. Like most hair loss treatments, minoxidil begins working immediately but can take several months to produce noticeable results. Unlike drugs for hair loss, which prevent hair loss by blocking DHT, minoxidil works by creating an ideal growth environment for your existing hair follicles.